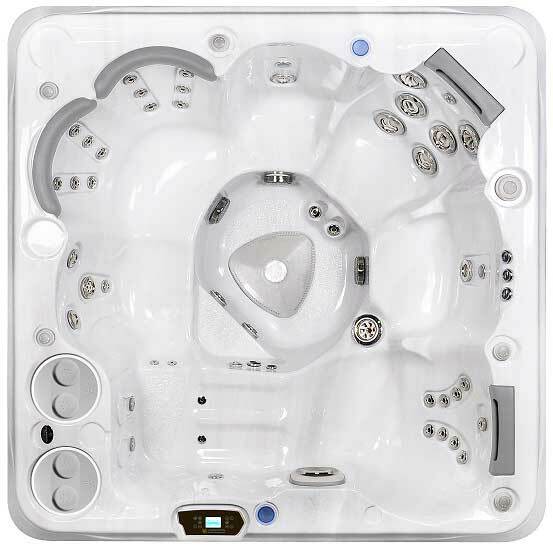 The Hydropool Self-Cleaning 670 is a 6-person hot tub with an extremely comfortable never-float lounger that can accommodate a wide range of heights, while its corner seats deliver a variety of targeted neck, back, wrist and calf hydromassage options. This hot tub is offered in a 35 Jet Gold Series and a 45-jet Platinum Series. The Hydropool Self-Cleaning 670 includes our patented Self-Cleaning system, and our optional Luxury, Tranquility or Hydro-Ther packages may be added to take relaxation to the next level.